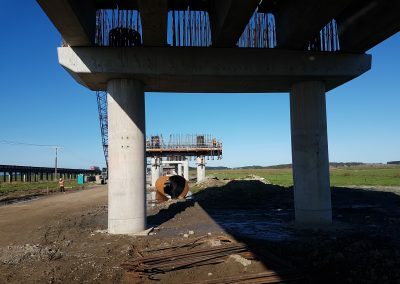 The true scale of the project is only comprehended upon visiting the construction site of the new Whirokino Trestle Bridge that spans the Manawatu river floodway. Donny From Fletcher Reinforcing gives us a rundown on where the KLONK concrete spacers are getting used. 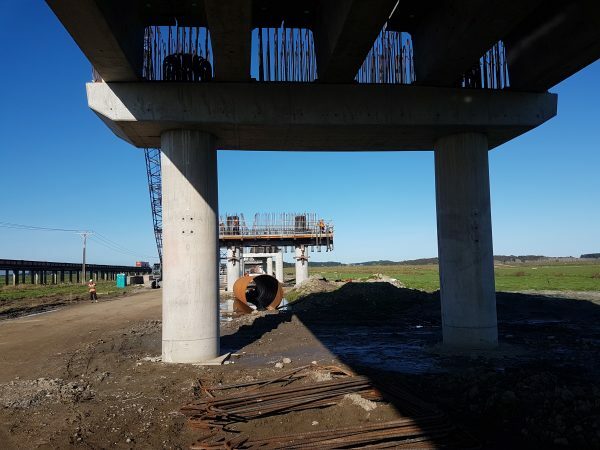 The piles that will support the new Trestle Bridge structure & Column construction and formwork for the cross heads the steel content is immense! 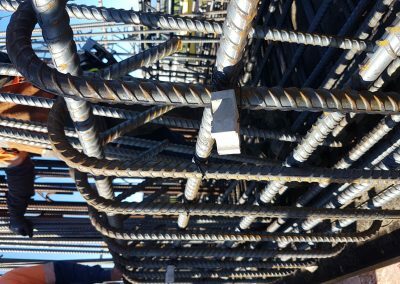 Spacing is all achieved with concrete spacers with the K3550 50mm cover from castle contributing to a big part of this. Tying them on is 2nd nature to Donny who makes it look so easy threading the wire and securing the spacer at 50mm cover. The weight these spacers are taking on the culverts poured on site would be up to several tonnes of steel, the KLONK spacers are holding up fine to the job. 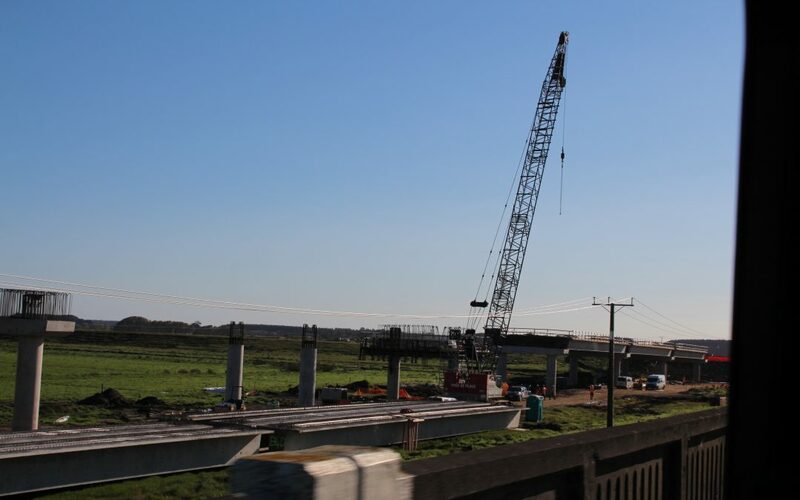 Over the next couple of months, Whirokino Trestle Bridge beams are being transported to-site during week days from the Otaihanga pre-cast yard, where they’re being manufactured. 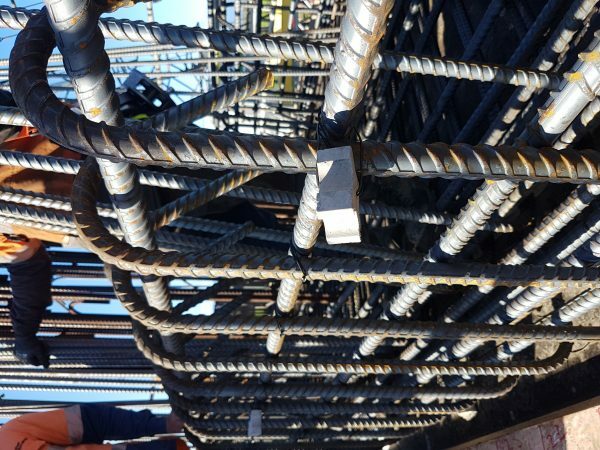 There are 85 beams in total, each 35m long and weighing 66 tonne. 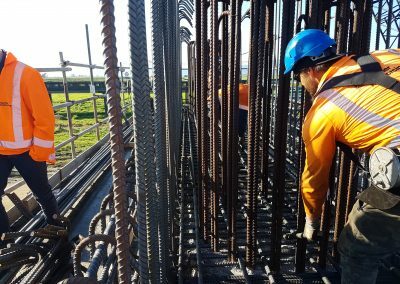 Once the bridge beams are placed, works will begin for the bridge deck, which involves pouring a concrete slab across the beams, all with the KLONK spacers supplied to site by Fletcher Reinforcing Levin. Lastly to install bridge barriers, road asphalt and line markings to complete the project. 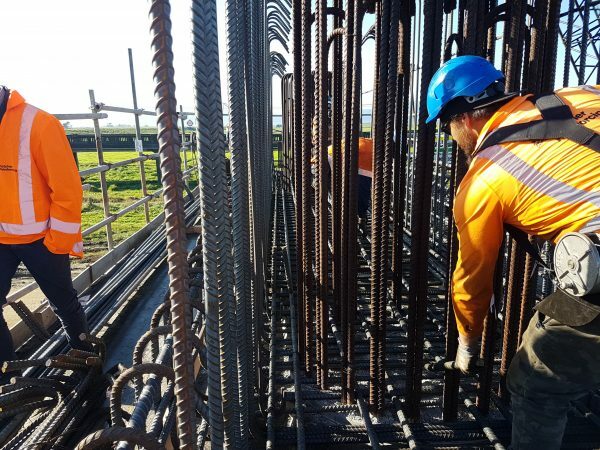 To date the Fletchers project team has employed an additional 12 labourers from Foxton, Levin, Shannon and Kāpiti to help with steel tie-ins and carpentry works on the bridges. Other local supporting roles include security, cleaning and catering. The project team prefers to use local workers where possible and understands the community benefits of using local resources. 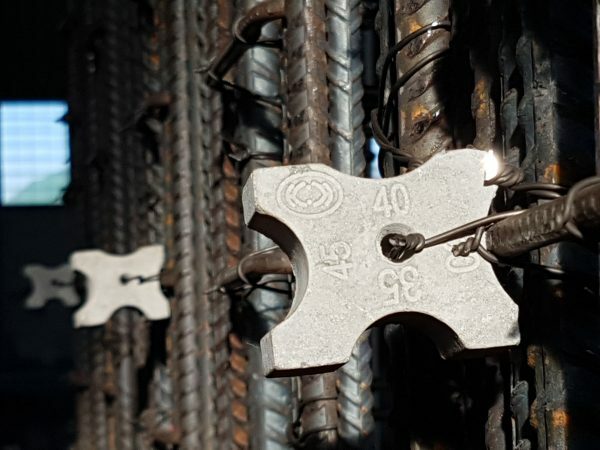 Find out more about KLONK concrete spacers.